A 19-year-old Afghan man suspected in last week's stabbing of two American tourists at Amsterdam Central Station said Monday was motivated by insults to Islam, prosecutors said Monday. "The man is of the opinion that in the Netherlands 'the Prophet Mohammad, the Koran, the Islam and Allah have often been insulted'," the Dutch prosecution service said in a statement. The suspect, identified as "Jawed S., "had a terrorist motive and travelled to the Netherlands with that aim," the statement added. The Afghan teenager mentioned far-right Dutch MP Geert Wilders, according to the prosecutor's office. Friday's attack came a day after an announcement by anti-Islam politician Wilders that he was cancelling moves to stage a cartoon competition to caricature the Prophet Mohammad, a plan that had angered many Muslims. Known for his virulent anti-Islamic views, Wilders on Thursday said he was nixing plans to stage the competition to "avoid the risk of making people victims of Islamist violence". Earlier Monday Jawed S. appeared before a Dutch judge in connection with the case. He was remanded in custody and will appear again before judges in two weeks, while police continue their probe. He remains behind bars under maximum security and is only be allowed visits by his lawyer. 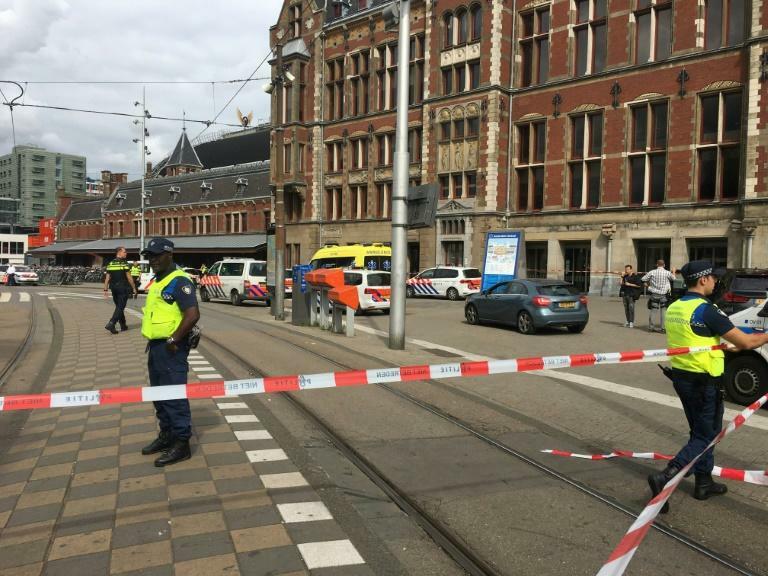 Two American tourists were seriously injured when a knife-wielding man attacked bystanders around noon on Friday at the busy train station next to Amsterdam's historic city centre. The US State Department on Sunday condemned what it called an "unprovoked, horrifying attack" and offered full support to Dutch authorities, both in their investigation and "in our common fight against terrorism in all forms". Both of the wounded American men remained in a satisfactory condition in hospital Monday, according to Dutch media. German police on Saturday raided the suspect's home, which Dutch newspapers said was located in the western Rhineland-Palatinate state. A German foreign ministry official Monday confirmed the suspect is an asylum seeker who was appealing a decision to reject his claim. The man had a German residency permit. The Netherlands has been largely spared the kind of terror attacks which have rocked its closest European neighbours in the past few years.